CG Says: Hyundai’s midsize SUV lineup undergoes a significant revamp for 2019. The five-passenger, two-row Santa Fe model, previously known as the Santa Fe Sport, is redesigned and is now named simply Santa Fe. The three-row Santa Fe is carried over with few changes and is now badged Santa Fe XL (see separate report). For 2020, the Santa Fe XL will be replaced with an all-new three-row model named Palisade. 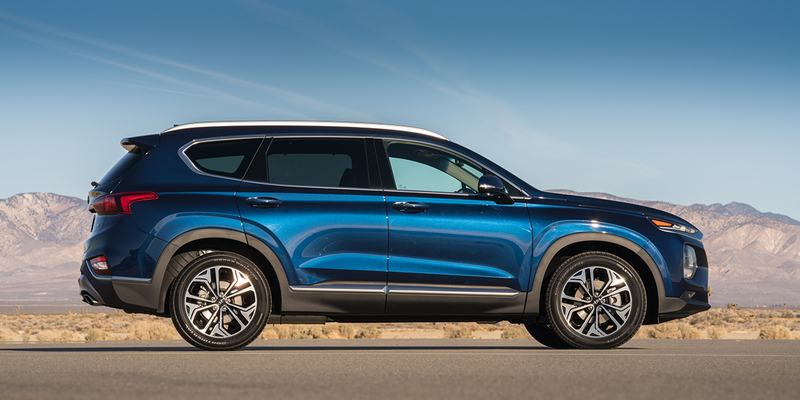 The new two-row Santa Fe (the subject of this report) is 2.6 inches longer in wheelbase and 2.8 inches longer overall than the Santa Fe Sport model it replaces. The Smart Sense suite of safety features—which includes forward collision warning with automatic emergency braking and pedestrian detection, blind-spot monitor (with steering-assist functionality), lane-keep assist, rear cross-traffic alert, automatic high-beam headlights, adaptive cruise control with full stop-and-go capability, and a driver-attention warning feature—is standard on all models. Also newly standard is Safe Exit Assist, a system that detects vehicles approaching from the rear, and either prevents the driver from deactivating the child-safety locks if the doors are closed or issues a warning if a rear door is already open. Another new safety feature is Rear Occupant Alert, which reminds the driver to check the rear seat and sounds the horn and sends a text message if motion is detected in the rear seat after the driver has left the vehicle. The standard engine is a 185-horsepower 2.4-liter 4-cylinder. Optional on topline Limited and Ultimate models is a 235-hp, turbocharged 2.0-liter 4-cylinder. 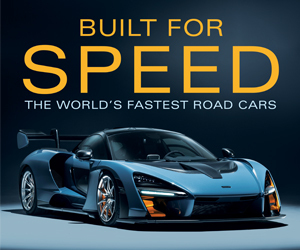 Both engines are paired with a new 8-speed automatic that replaces the previous 6-speed auto, and all models offer a choice of front-wheel or all-wheel drive. 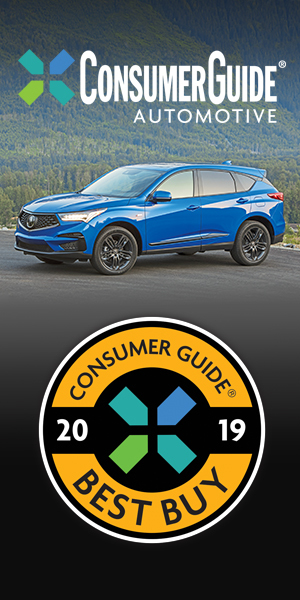 Neither of the Santa Fe’s available powertrains is at the head of the midsize SUV class for power or smoothness, but this is still a likeable, well-rounded crossover SUV. The ride and handling are pleasant and predictable, the cabin is quiet, and a broad range of comfort and technology features is available. Throw in a generous list of standard safety equipment, and competitive pricing, and the redesigned Santa Fe is a compelling contender.